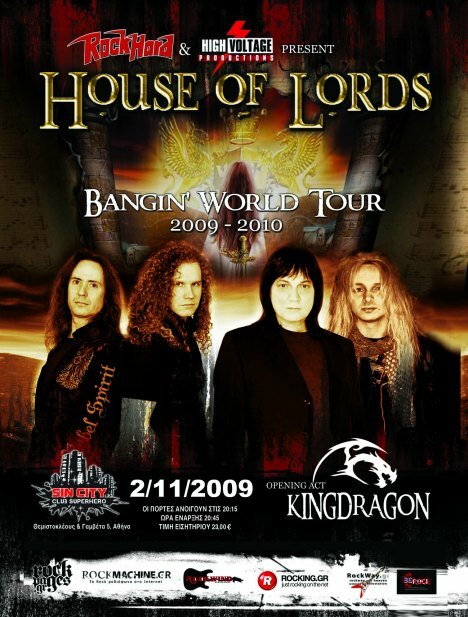 The main reason you see House Of Lord‘s debut posted here is their recent -last Monday- live performance in Athens. Under normal circumstances I would have been there which means that apart from this CD-rip you would be looking at some photos taken from the gig as well as a ticket scan. The venue may be small-sized [the *stage* is so narrow that unless the band stands still, they bump one another! Ask Mike Tramp, I saw White Lion there 2 years ago or so] but the price was decent (€23). Nasty headache (migraine actually) that won’t go away no matter what – When the painkillers finally kicked in, it was nearly time for the show to start and I was still lying in bed. Nothing worse than attending a show while being ill, the chances are you won’t enjoy it. I’ve had a really bad experience nearly a decade ago permanently imprinted in my memory. It was Blackmore’s Night first visit in Greece; I arrived at the (open) theatre with a slight headache, a minor nuisance up to that point. Well, by the time Ritchie got on stage the pain had increased so much it was unbearable. Needless to say it COMPLETELY ruined the evening for me. And I’m talking about an outdoor concert [lots of space, hanging loose, cool breeze blowing, you get the picture] in conjunction with a low dB acoustic set, not a tiny poorly ventilated [this old chap is NOT a smoker] club where you may find yourself next to the PA! Released during the late 80s when Melodic Hard Rock/Hair Metal was thriving, you could say the prospects were favourable. It achieved huge sales/received extended airplay and so on. Surely you MUST have heard a few of the songs featured here. The best two songs, and smashing hits, “I wanna be loved” and “Love don’t lie” were written by Mandy Meyer/Steve Johnstad and Stan Bush respectively. Other highlights include “Pleasure palace” and “Slip of the tongue”, part of their live set-list too if I’m not mistaken. Overall a pleasurable album to listen to, typical of the era and genre. This is the first edition, got it from a second-hand shop for peanuts 15 years ago or more. The bad news is that my copy was exposed to moisture for a period enough to affect its condition [due to lack of space my CDs are scattered all over the house]. Luckily the disc remained intact, not a speck of dust inside which is surprising given the state of the case. Thanks very much for this CD. 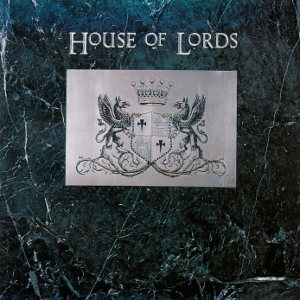 Thanks for posting House Of Lords début, nice addition to any good music collection. Regards from Sao Paulo, Brazil. Great upload, thanks a lot! A fan from the Azores, Portugal.